Bain what? Before we have a French lesson, let’s talk dish inspiration. So remember in my Date Bar post how I talked about my need of breakfast on-the-go? Back to that topic, if I don’t have something I can grab on my way out the door then I always end up at Starbucks. If I’m not being a fatty and ordering a butter croissant, I try to be “healthy” and I get the sous vide egg white bites. 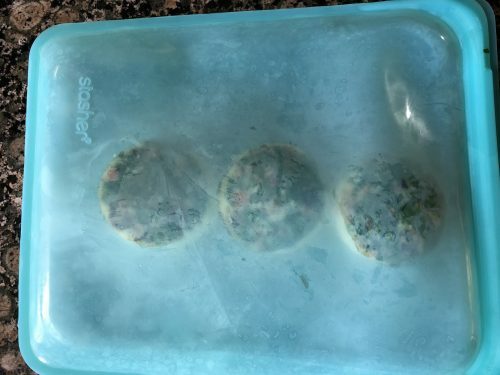 If you’re not familiar with sous vide cooking, it’s a technique where you vacuum seal food then cook it in a temperature controlled water bath. Seems odd, but it allows your food to be cooked in its own juices and delivers perfectly cooked consistency every time. 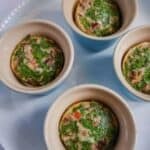 I wanted to recreate the sous vide egg white bites at home, but I do not have sous vide equipment (cough cough on my Christmas list). This leads me to the ‘bain marie’. Bain Marie is basically just a fancy way of saying water bath in the culinary world. 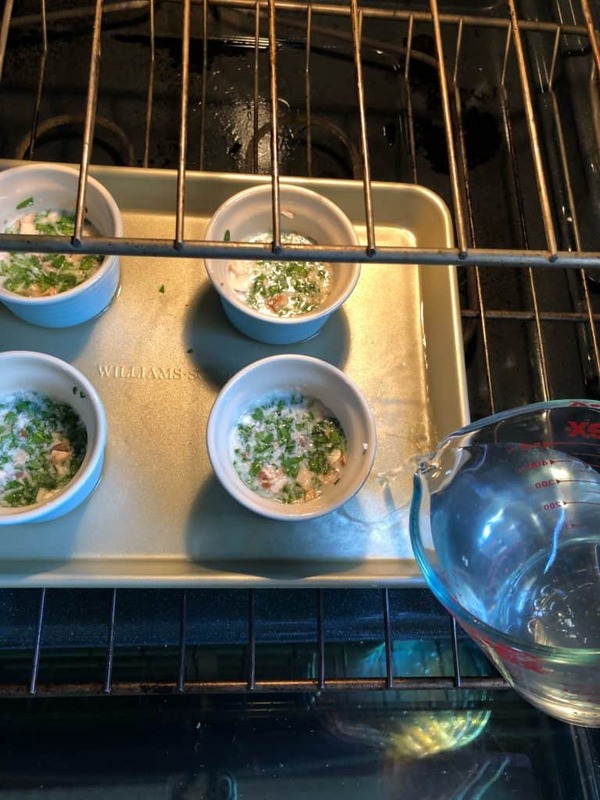 So instead of vacuum sealing my egg white bites and putting them in the water bath, I used oven safe ramekins and a pan to create this luxurious hot tub for my eggs. You can pick the veggies you want to add to your bites based on your preference. I added: spinach, mushrooms, red bell pepper, feta and freshly grated sharp white cheddar cheese (what I had in my fridge at the time). 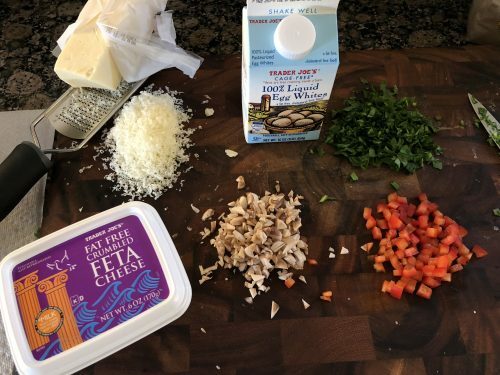 In a medium sized bowl whisk together: egg whites (you can separate regular eggs or use liquid egg whites), a tablespoon of greek yogurt, salt, pepper, and the grated cheese. 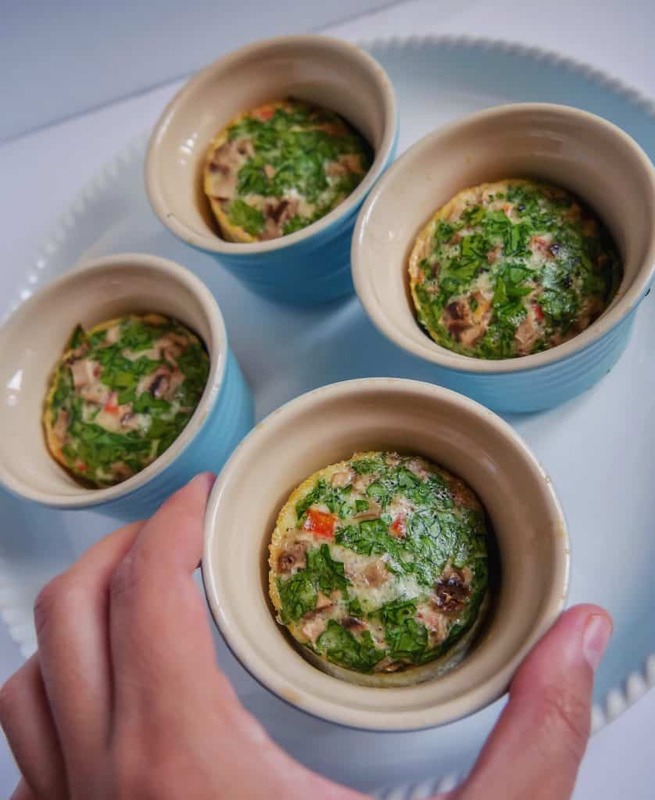 Make sure you spray your ramekins with non-stick spray (I used coconut oil spray) because your eggs will rise. 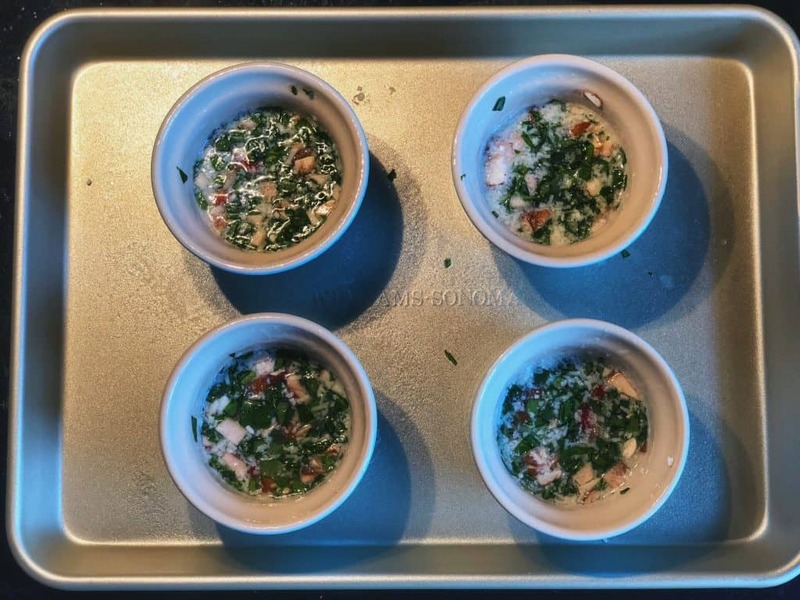 Then you want to evenly distribute the egg mixture into each ramekin, add in your toppings, and then give it a little stir. You can boil the water, but I just microwaved it for 3-4 minutes to expedite the process. 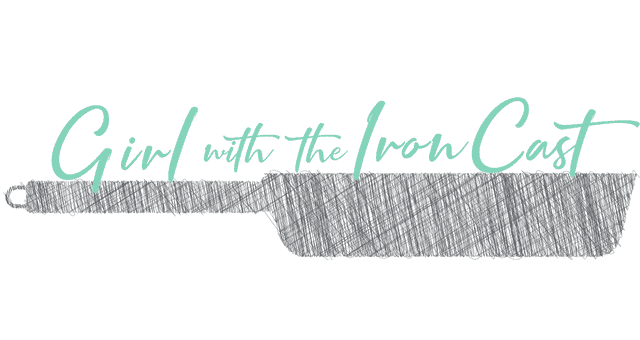 I originally poured the water into the pan BEFORE putting it in the oven and that was almost a disaster. Take my advice and put the pan with the ramekins inside in the oven FIRST, then pour the water into the pan. When taking them out of the oven, I used tongs to carefully grab each ramekin and then was able to remove the pan with little water after. When you remove them from the ramekins you’re left with these fluffy cloud-like egg white bites! I topped them with some extra cheese and hot sauce too (yes, I am team hot sauce on my eggs). I only had 4 ramekins so I only made 4, but feel free to make as many as you want and then you can freeze them and warm them up in the morning! 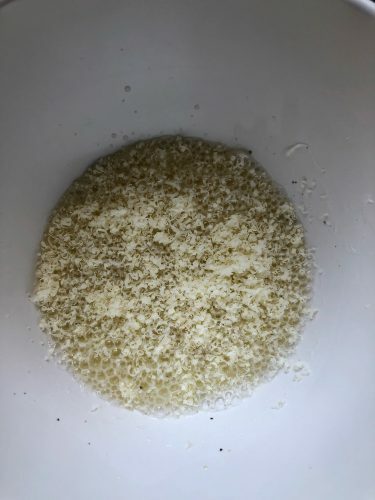 Sorry Starbucks, I don’t need you anymore… it’s not you, it’s my bomb bain marie egg white bites that did this. 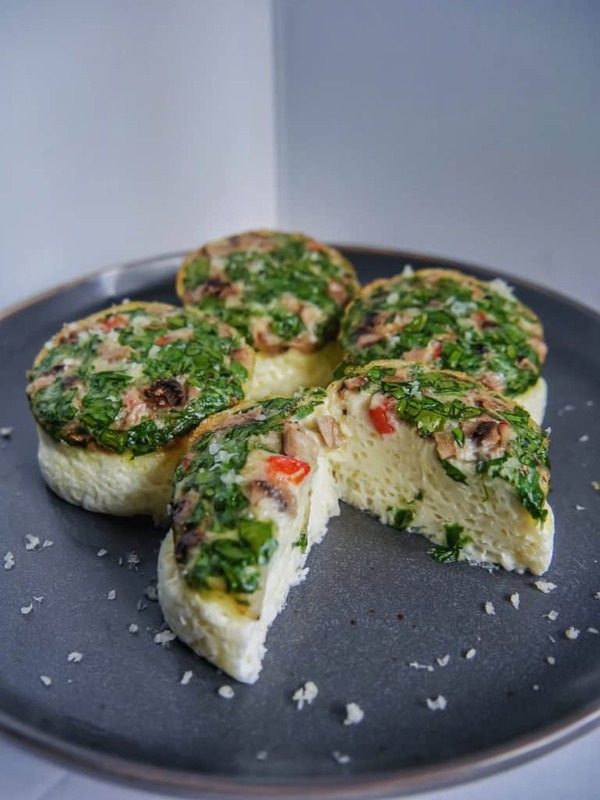 Fluffy cloud like egg white bites filled with spinach, mushrooms, red bell pepper, feta and sharp white cheddar cheese. Preheat oven to 325. Place oven safe ramekins in a baking dish and spray the insides of the ramekins with non-stick cooking spray. In a medium mixing bowl whisk together egg whites, greek yogurt, grated cheese, pepper, and salt. 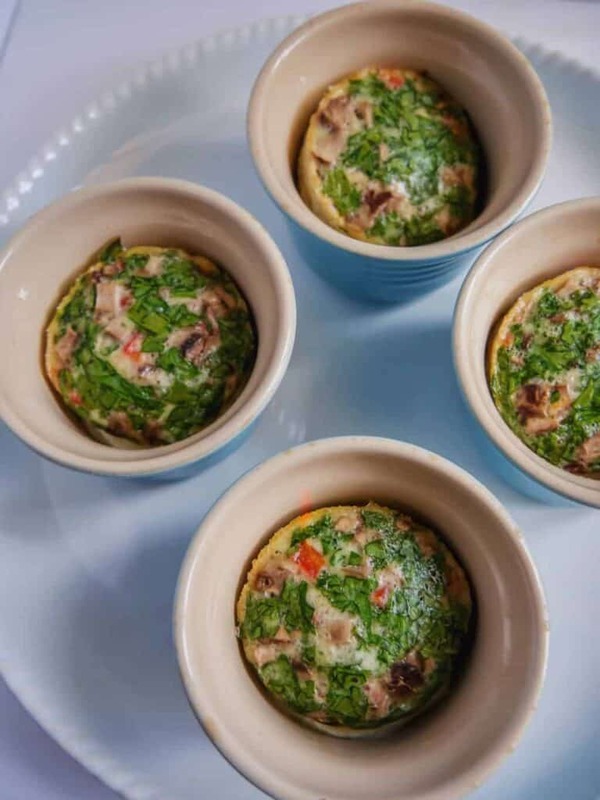 Evenly distribute egg mixture into each ramekin. Sprinkle some of each ingredient into the ramekins and use a spoon to gently stir. In an oven safe container, microwave 2-4 cups of water (depending on how big your baking dish is) for 3-4 minutes until it is hot. Or you can boil water on the stove. Place dish with ramekins into the oven and carefully pour the hot water into the dish so it is around all the ramekins (about 1/2cm of water). Remove from the ramekin and top with more cheese or hot sauce if desired. Can be frozen and warmed up to enjoy later.